The MONOPOLY brand from Hasbro and Nintendo today announced the launch of the MONOPOLY GAMER Edition game that introduces beloved Nintendo characters and new twists to the MONOPOLY game. The standard MONOPOLY GAMER Edition game will be available this August at mass market retailers for a suggested retail price of $24.99, and is for ages 8 and up. Fans can take their MONOPOLY GAMER experience to the next level with the purchase of MONOPOLY GAMER POWER PACKS (each sold separately), which include one of several Super Mario character tokens like Luigi, Boo, Rosalina, Wario, Diddy Kong and more. The POWER PACKS will be available this August for a suggested retail price of $2.99 each. Starting today, the MONOPOLY GAMER Collector’s Edition game is available at select GameStop stores in the United States, featuring premium packaging and a bonus Bowser token, available exclusively in this edition of the game. The MONOPOLY GAMER Collector’s Edition game will also be available at additional online retailers later this year. yet annother monopoly game. what's next? nights into monopoly? apg monopoly? 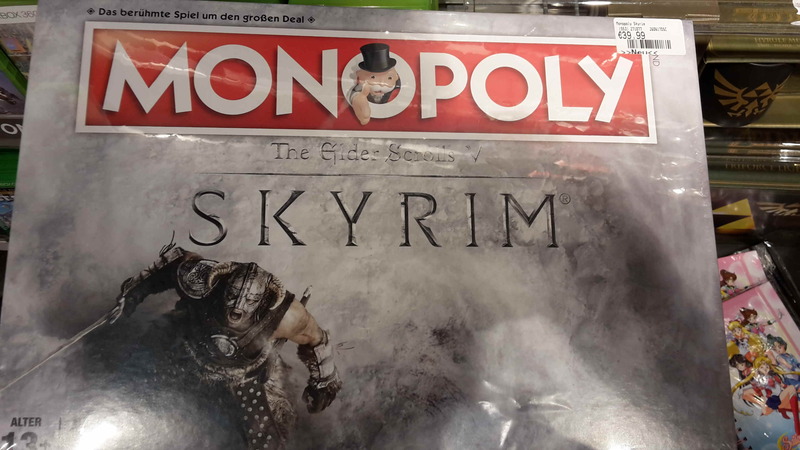 valve monopoly?